State of the art motion performance is packed in this Simple Motion Module for the iQ-F series micro PLCs. 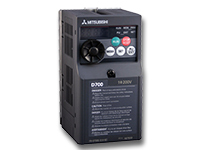 Combine the FX5- 40SSC-S Simple Motion Module with the SSCNET III/H compatible MR-JE-B servo system to knock out the competition at cost sensitive OEMs with top-of-the-line features without the top-of-theline price. 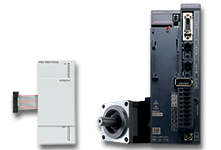 This combination brings high performance network based motion control to the low cost market. Powerful features borrowed from the flagship products add unprecedented value to this simple motion control solution.